Spotted horses occur in various breeds, not just in American Appaloosa horses. Spotted horses occur in various breeds of pony and horse and are often referred to as Appaloosa horses, even though there is a distinct breed with this name. 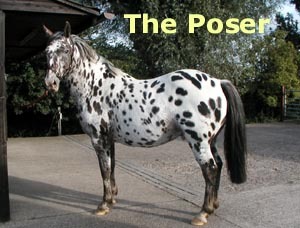 The term Appaloosa is now used to describe several distinct spotting patterns. Apart from the American Appaloosa there are various breeds based on spotted horses and ponies, including the British Spotted Pony, the Australian Noriker, Australian Palouse Pony and the Danish Knabstrup. One breed in the making is the British Appaloosa (see below). Other breeds in which spotted horses occur include the Welsh ponies and cobs, however negative selection may have reduced the occurrence of spotting in these and other European breeds, such as the (Portuguese) Lusitano. Spotting is an ancient pattern recorded in the form of cave wall drawings of spotted horses in Southern France, from around 20,000 BC. 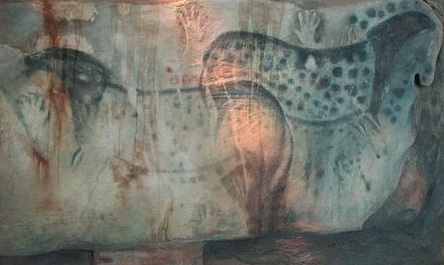 There is no evidence to indicate that spotting patterns arose independently anywhere else and it has been assumed that spotting originated in Europe. As spotted horses spread to other parts of the world they interbred with local horses and eventually influenced various breeds, such as the Danish Knabstrup and the American Appaloosa, which came from Spain via the Conquistadors. The word Appaloosa originates from the spotted horses bred by the Nez Perce Indians. Settlers began to refer to their spotted horses as “A Palouse Horses”, due their proximity to the Palouse River, running through Northern Idaho. By the 1930s there were a number of names used for these horses, including “Palousey”, “Appalousey” and “Appaloosa.” In 1937 an article appeared in the "Western Horseman" entitled “The Appaloosa, or Palouse Horse”, stimulating interest in these distinctive horses. The following year an organisation named "the Appaloosa Horse Club of America" was formed to preserve and improve the Appaloosa breed. 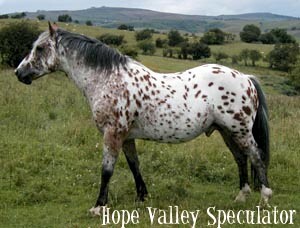 The name Appaloosa stuck and has now been largely accepted worldwide and adopted to describe spotted horse elsewhere. The Club has now grown into one of the leading equine breed registries. The Appaloosa is now the state horse of Idaho. Spotted ponies may have been native to Britain, and in particular they may have occurred in native Welsh Mountain ponies and cobs, as they do today. They were certainly at one time feral here, roaming the heaths and forests of ancient Britain. Evidence of spotted horses and ponies in the UK crops up in documents and art dating over a long period of time. During Roman times (from c 43 AD) some of the mounts of the more important Officers were spotted horses, although these were brought to Britain by the Romans and were of Spanish origin. Over the centuries since many of the horses sent as gifts between the European Royal Families were spotted, while early English manuscripts show spotted horses bearing saints or noblemen. A parchment roll from 1298 lists the horses Edward I purchased for his campaign at Falkirk. One of the most expensive of these was a spotted Welsh cob from Powys, Wales, bought from a Robin Fitzpayne. Charles II (c 1660) had a strangely marked “gray” Arab with red on his rump named 'Bloody Buttocks'! The offspring of Bloody Buttocks appear in the early records of Arabs and Thoroughbreds, including bay Bloody Buttocks and Grey Bloody Buttocks. In the 18th and 19th centuries spotted horses occasionally appeared in English paintings, like John Wooton's “Lady Conway's Spanish Jennet” now owned by Lord Hertford of Ragley Hall in Warwickshire. There is also a print from the mid nineteenth century of a lady driving a little Welsh-type spotted pony, with a spotted Dalmatian dog running behind. The lady is thought to be Queen Victoria. 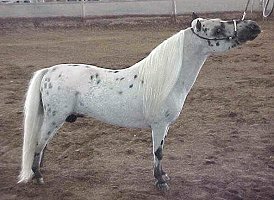 More recently British Appaloosa horses have been influenced by spotted horses from various places, including from America, during the time of the American travelling circuses (approx. 1930s-1950s) and more recently and from Denmark (from the 1960s). It is also true that many fine spotted horses and ponies have been taken from the UK too. The oldest Appaloosa organisation in the UK is the British Appaloosa Society (BApS), established in 1976. It has adopted the name Appaloosa (rather than spotted horse, for example) even though spotted horses in the UK preceded those in the US. BApS has two separate registers, one for Appaloosa to Appaloosa breeding and one for Part-Bred Appaloosas, and is aims to establish a Pedigree Studbook rather than just a register. 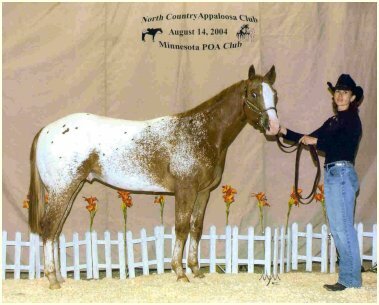 The BApS allows the registration and showing of both spotted and solid Appaloosa horses. BApS is in the process of establishing the British Appaloosa horse as a breed in its own right. They started a grading system in 1987, planning for a six generation "journey" to stud book status. Sixth generation horses will be the first pure bred Appaloosas in Britain. 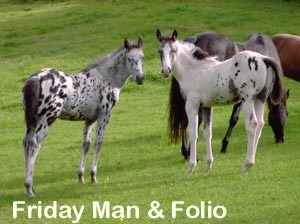 That makes today’s registered horses the foundation stock of the future British Appaloosa breed. The British Appaloosa Society envisions this new breed of Appaloosa horses as hardy "good doers" that can live out in the winter. In addition to being spotted (or of spotted breeding stock) the British Appaloosas will be loyal horses, eager to learn, of good temperament and naturally athletic. 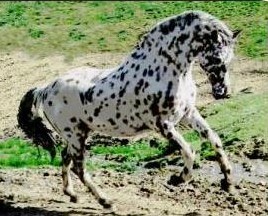 Appaloosa spotting is influenced by several genes. 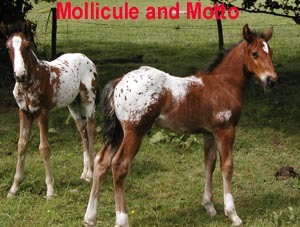 Link to Appaloosa horses genetics page.